Come and join us at Breadsall Priory Golf Club for 18 holes of golf on their Moorland Course on Friday 23rd September. Breadsall Priory offers the ultimate golfing experience, with excellent facilities for all abilities of golfer. Prizes will be awarded for nearest the pin and longest drive. 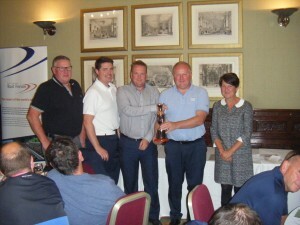 Team prizes will be given out at a prize giving presentation at the end of the day and will include presentation of the Neil Harvey Memorial Trophy to the winning team, won last year by the team from Radar Finance.